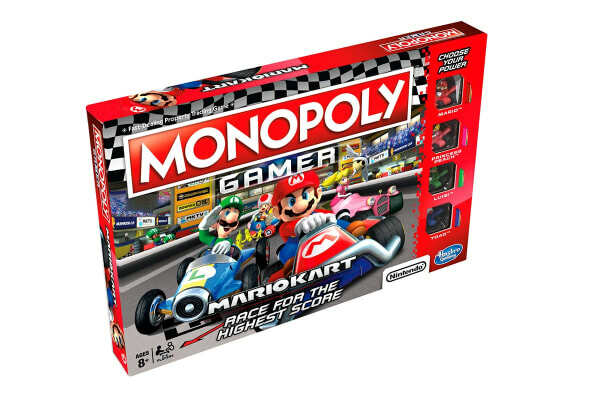 The Hasbro Monopoly Mario Kart Gamer joins forces with Nintendo video game characters for an exciting gameplay experience. 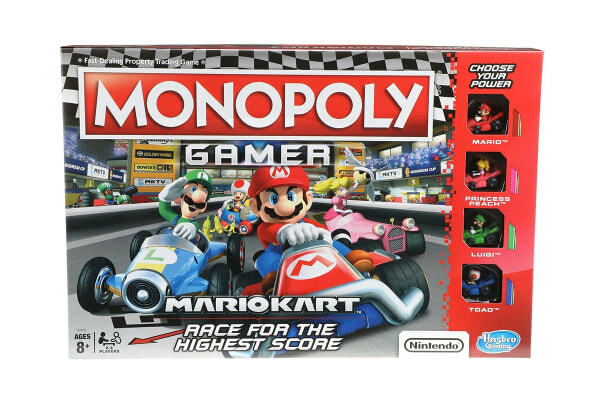 In the Hasbro Monopoly Mario Kart Gamer, players can choose to move around the game board as Mario, Princess Peach, Luigi or Toad. 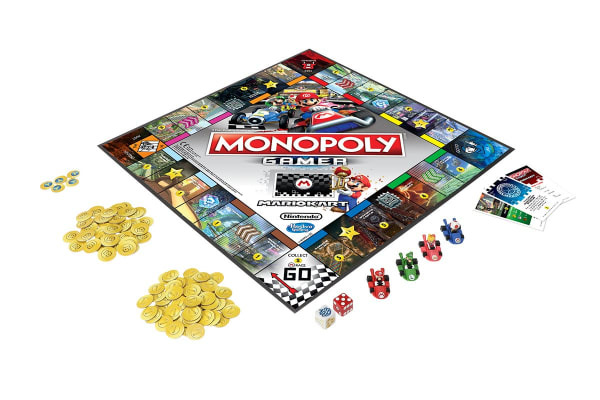 Buy iconic Mario Kart properties such as Bowser’s Castle and Rainbow Road, Pass Go to trigger a race from Mario Kart Cup, dodge banana peel tokens, toss shells, pick Grand Prix cards and collect Coins. When the final race is over, the player with the highest score wins.